Gary S. Hauk, Emory's official historian and senior adviser to the President, has joined the Center for the Study of Law and Religion as senior editorial consultant and member of the international editorial board of the Center’s Cambridge Law and Christianity book series. An experienced editor as well as a trained theologian and ethicist, Hauk will assist in editing the Law and Christianity book series with Cambridge University Press, offer copyediting services to faculty and fellows who are writing books or major articles on law and religion, and assist with production and editing of the major public communications of the Center. He will also work with Emory Law librarians and archivists in preparing a comprehensive archive of the Center’s work since 1982, which will be deposited in the university library system, and prepare a new edition of the Center’s history. 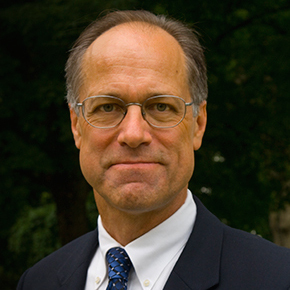 Hauk has worked at Emory for almost three decades as secretary of the University and adviser to Emory Presidents James T. Laney, Billy E. Frye, William M. Chace, James W. Wagner, and Claire E. Sterk. His principal appointment is as the official university historian, which has him working primarily in the Rose Library. He writes a blog on Emory’s history and maintains a web page focusing on Emory’s history and traditions. “We are deeply privileged that he is willing to lend a portion of his time and talents to our Law and Religion Center as well,” said CSLR Director John Witte Jr., who described Hauk as a brilliant stylist and editor. Hauk has a doctorate in ethics and society from the Emory Graduate Division of Religion and a master of divinity degree from the Methodist Theological School in Ohio, as well as a master of arts in English from Lehigh University. He is the author of A Legacy of Heart and Mind: Emory Since 1836, which he is now updating, and is co-editor of Where Courageous Inquiry Leads: Essays in the Emerging Life of Emory University. His most recent book, commissioned for the celebration of the centennial of the Candler School of Theology, is Religion and Reason Joined: Candler at 100.